Haircare has to be one of those areas which I am delving into more and more. Testing out different brands and different products. After my rave review of the Sukin Night Cream I wanted to rave about their hair care. I am a big dry shampoo fan, since having a fringe dry shampoo has become my No1 best friend. I use this several times a week, which as you can imagine in between washes can build up. I like to use a clarifying shampoo once a week to thoroughly cleanse my hair. 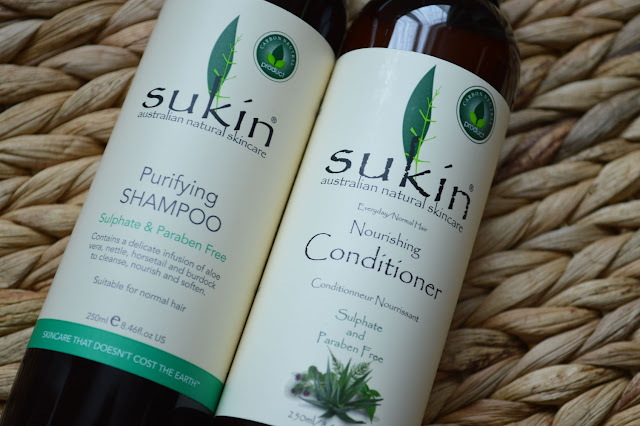 Sukin have a natural Purifying Shampoo free from nasties such as parabens and SLS, making it perfect for daily use if need be. I don't like to wash my hair daily but if you do and you're after a very gentle shampoo this would be perfect. The scent is very natural and soothing, a delicate infusion of aloe vera, nettle, horsetail and burdock. Also great for sensitive scalps, My hair feels squeaky clean and healthy after each use. 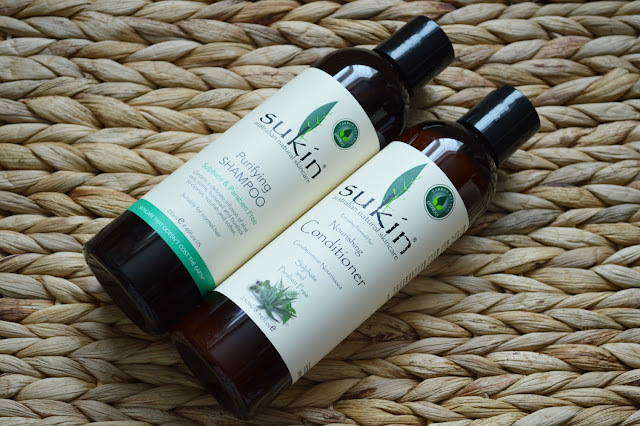 After using a purifying shampoo it's good to use a hydrating conditioner, the Sukin Nourishing Conditioner delivers exactly that. 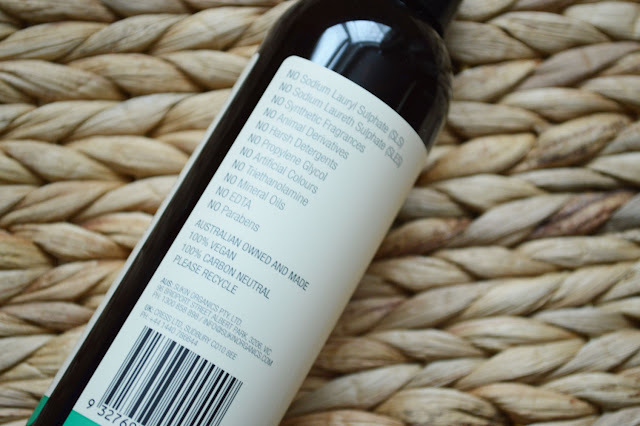 A gentle daily conditioner, it helps prevent tangles and static making hair more manageable. I keep this to use alongside the Purifying shampoo they're perfect combination, I like to use these on a Sunday when I have my pamper time. This usually consists of a face mask, freshly painted nails and a spot of reading or crochet. The conditioner rinses well and doesn't feel thick or heavy. Sukin have a great range of hair, body and skincare products. I really like the sound of their Hydrating Mist Toner and Rose Hip Facial Oil. What products do you like the sound of?